Doing multiple destruction projects a year is not only inefficient, but also costlier compared to recurring shred service. Not to mention, if you are asking employees to shred documents in house, you are paying for the hours it takes employees to sort and shred the proper documents. Taking these two cost factors into consideration, the smart choice is implementing a recurring shred schedule for your business. Just take a look at this info sheet for a quick breakdown. As mentioned above, it takes time for employees to sort and sift through the documents that should be kept and the ones that need to be destroyed. Often, before you know it, you are having an employee spend most of their day destroying, when they really should be focused on what matters most to your business. A recurring shred schedule identifies a specific time that you know your redundant, obsolete, or trivial business documents will be destroyed and gives you back the time an employee would normally spend destroying them. Keeping boxes of files that should have been destroyed months or even years ago puts your business at significant risk. The FBI maintains that physical records are still the culprit for most data breaches that occur. A recurring shred schedule provides your business with lockable shred consoles or carts and only grants access to the employees allotted access by your company. Once a document has been determined that it needs to be destroyed it is deposited into the bin or console and can only be retrieved by those that have the key. Not having procedures in place for destroying documents is a huge liability for your business and leads to inefficiencies in the way your business data is handled. Storing files in office can pile up quick and let’s be honest, every piece of real estate is valuable to your business. Placing a shred console or cart in office and implementing a recurring shred schedule aid in showing employees where they should be depositing documents that need to be shredded, while also freeing up valuable office space. Placing your office on a recurring shred schedule is not only a win for your office but also the environment. While we operate in a digital landscape and increasingly push for a paperless office, the need for hard copy is ever present. As we all try to reduce our carbon footprint, you can rest assured that every document shredded gets recycled to help protect our environment. Getting your business all on the same team when it comes to protecting your valuable business information can see like a daunting task, but it shouldn’t. 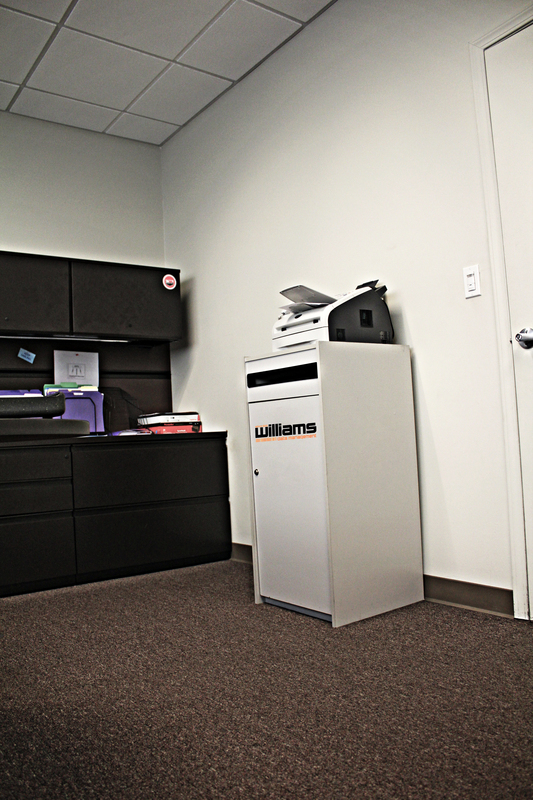 Williams makes it easy and aids in the process the whole way to make sure you maximize the benefits of certified document destruction. These five reasons alone should at the very least get you thinking about putting your office on a recurring shred schedule. Contact Williams @ 888-920-4549 to discover more ways a recurring shred schedule is beneficial to your business.